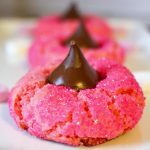 Pink Sprinkle Kiss Cookies – These cute pink cookies are fun to make and they taste totally delectable. A must for Valentine’s Day or any day you want to show someone you love them. Enjoy! Every time I make these with my son Josh, we have so much fun. He loves giving them to teachers and dropping some off at the neighbors house. The recipe is very easy to make since you start with a cake mix. 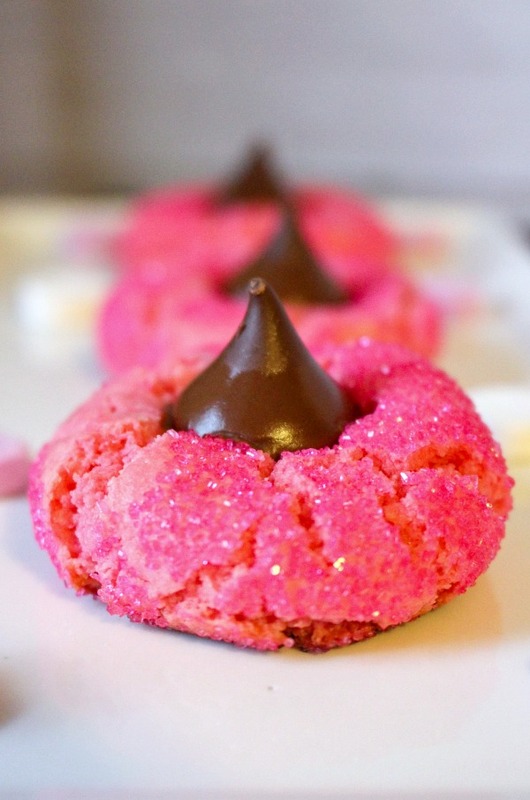 The cookies come out moist and soft in the center with a crunchy topping from the pretty pink sprinkles. We buy mason jars and ribbon and pack a few in each then give them out. They look beautiful and it’s always nice to get something homemade especially when it tastes as good as these cookies do. Bake a batch or two up soon. Have fun! 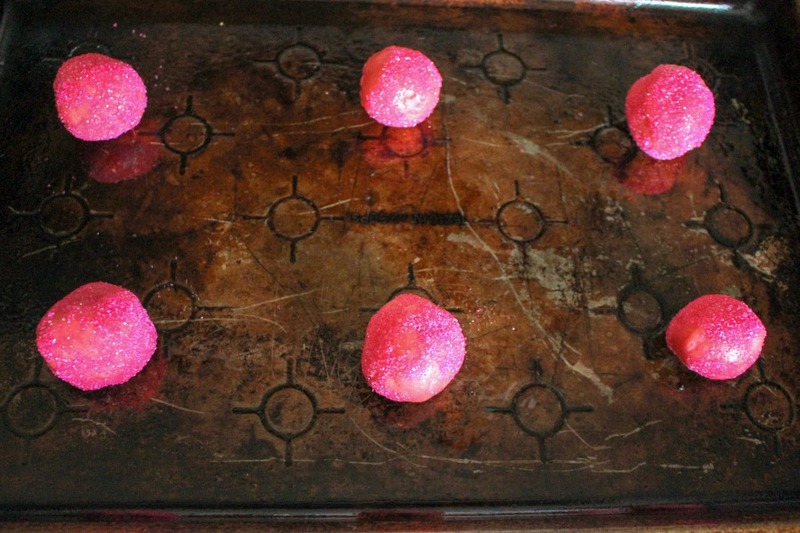 Take the wrappers off the Hershey’s Kisses, put onto a parchment or wax paper lined cookie sheet. Place in freezer. Combine the dry cake mix, butter, egg, and vanilla in a bowl. Mix until it forms into a dough. It will be a thick cookie dough. Add in the cream cheese (you will want to make sure it is very softened) and mix in completely. You can do this with your hands. If needed you can kneed the cream cheese into the dough. Add food coloring and mix well again. Do the same as you did with the cream cheese. Bake for about 7 to 8 minutes. When you remove the cookies from the oven, place on a cooling rack. 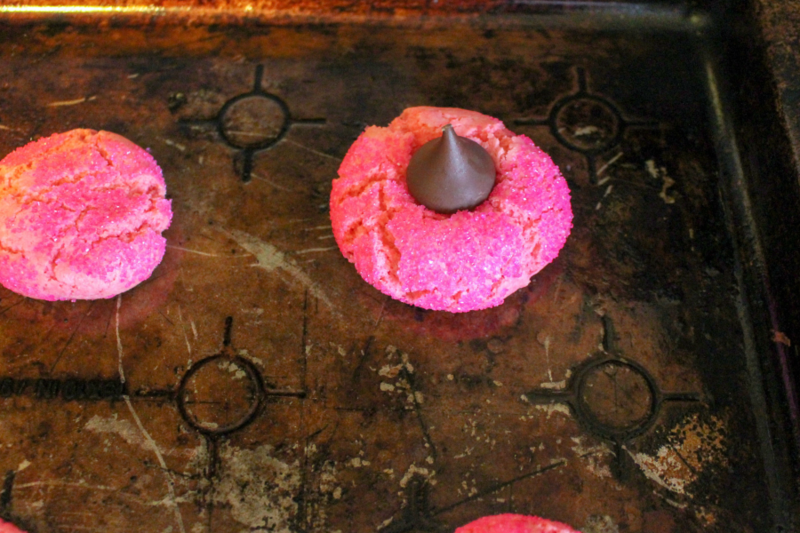 Press a Hershey’s Kiss into the center of each one. Let cool completely. Enjoy these pink little gems! 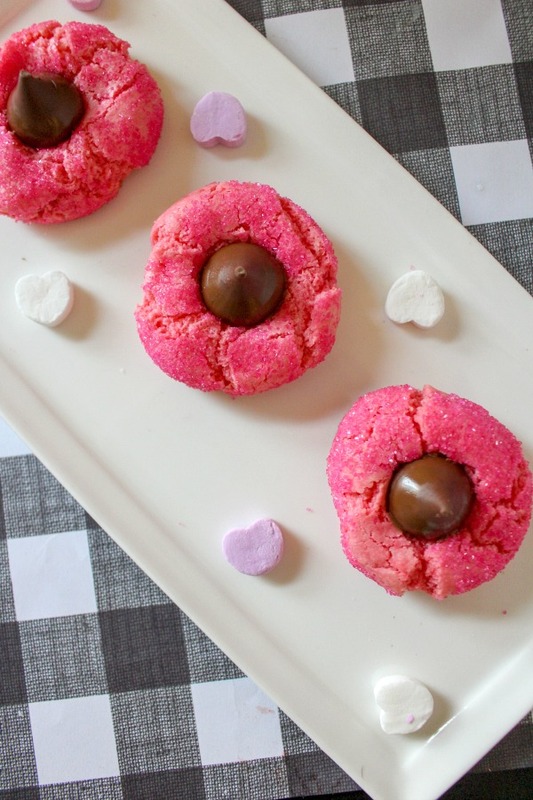 These cute pink cookies are fun to make and they taste totally delectable. A must for Valentine’s Day or any day you want to show someone you love them. Enjoy! 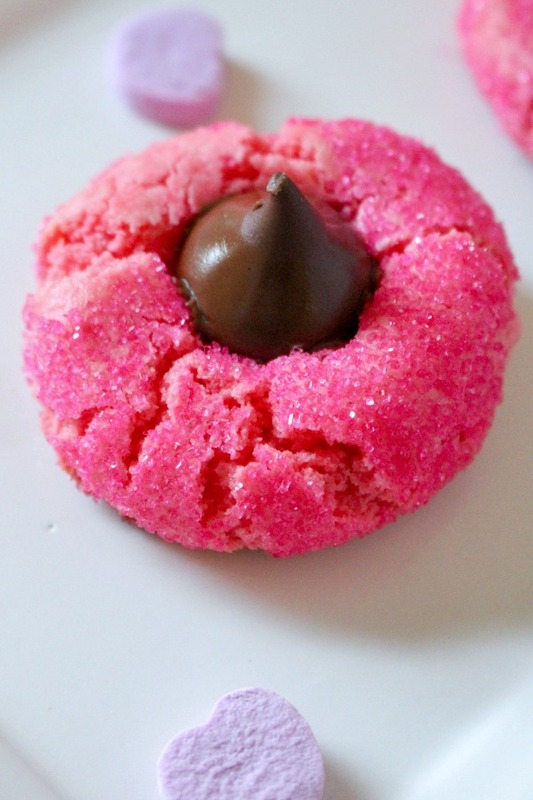 1.Take the wrappers off the Hershey’s Kisses, put onto a parchment or wax paper lined cookie sheet. Place in freezer. 2.Combine the dry cake mix, butter, egg, and vanilla in a bowl. Mix until it forms into a dough. It will be a thick cookie dough. 3.Add in the cream cheese (you will want to make sure it is very softened) and mix in completely. You can do this with your hands. If needed you can kneed the cream cheese into the dough. 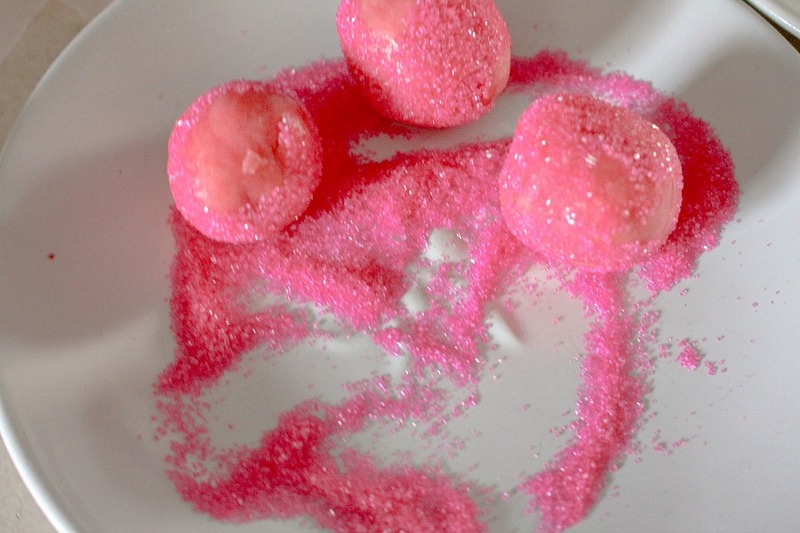 4.Add food coloring and mix well again. Do the same as you did with the cream cheese. 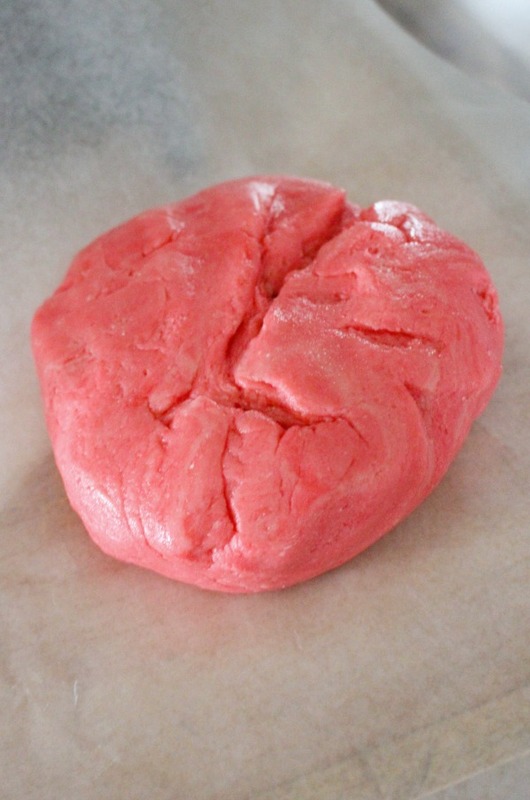 5.Refrigerate the dough for 30 minutes. 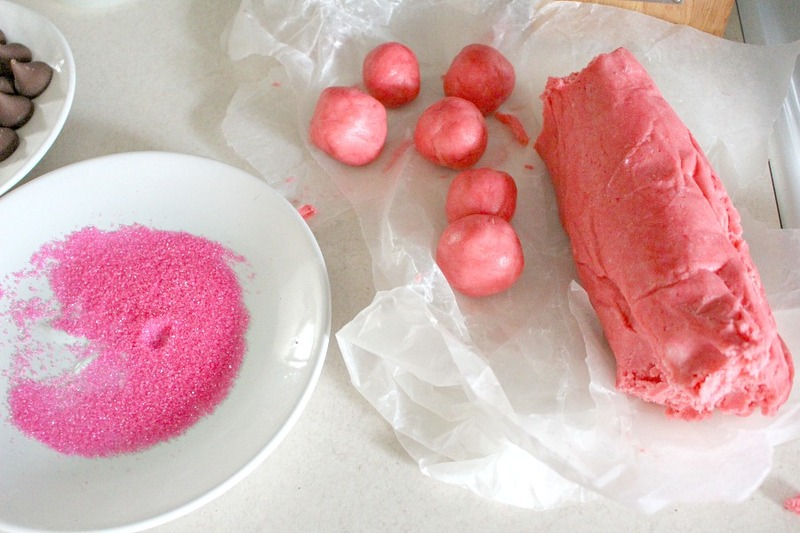 6.Grabbing a small amount of dough at a time, roll in the palm of your hands to form a ball. 8.Bake for about 7 to 8 minutes. 9.When you remove the cookies from the oven, place on a cooling rack. Press a Hershey’s Kiss into the center of each one. Let cool completely. Enjoy!